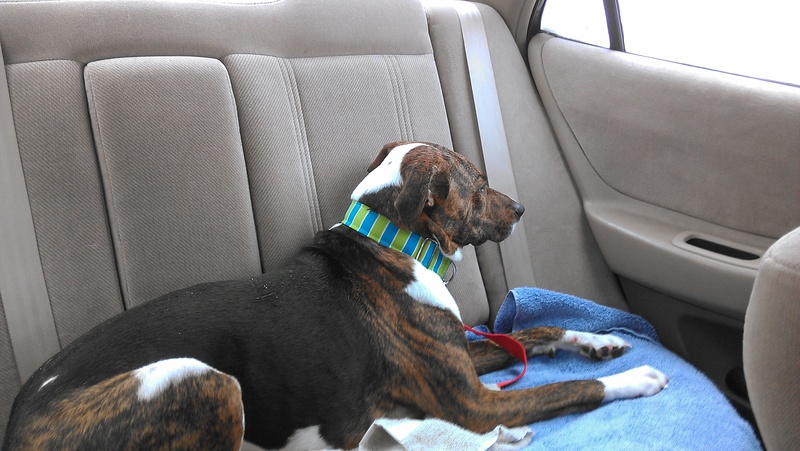 ← Adopt Cooper – for FREE! Awesome photos! 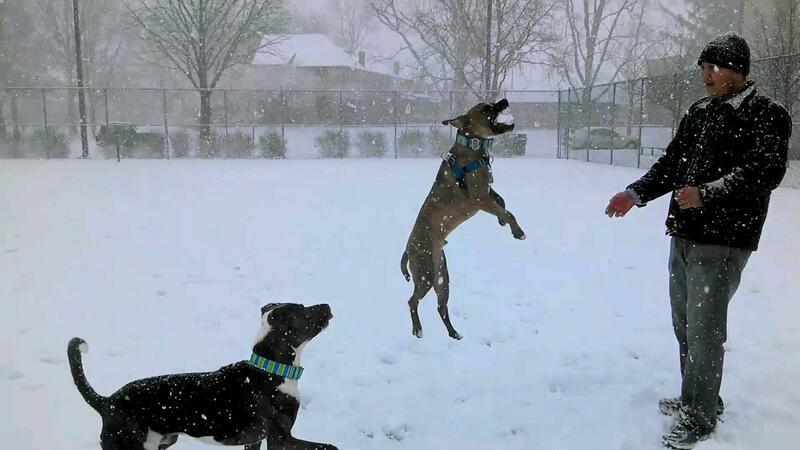 You can really see the pure joy on their faces while playing in the snow. It was so much fun watching them play. I love watching dogs have fun, when they’re having the absolute time of their lives, there’s really nothing better than that! LOVE! so cute. I wish us up here NORTH of you got some good snow!….sigh, still 2 months of winter to hope for it! That’s the worst, when it’s just “cold” and nothing to show for it! Ahhhhhhhh, i love the joy!!!!!!!!!!!!!!! The look on Oscar’s face was priceless the first time your husband threw the snowball and it disappeared into the snow. He looked at the snow then at your husband then back at the snow, like hey what the heck?! Ha I know right? 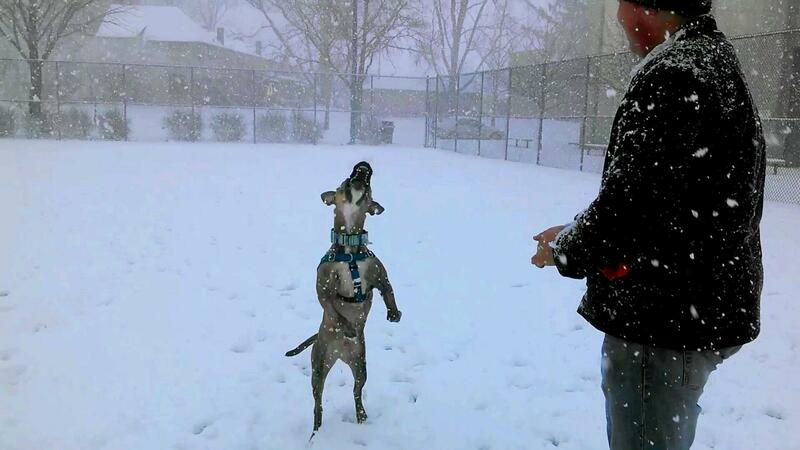 The funny thing is that Oscar usually couldn’t care less about fetch, but if it’s snow, all of a sudden he’s interested! 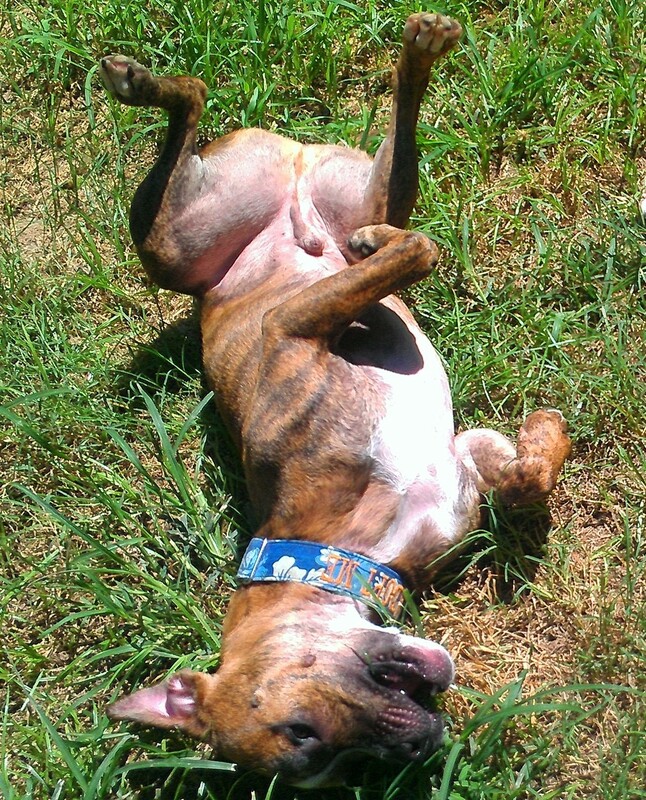 Silly puppy. Favorite post to date 🙂 TOOOO cute! They look like they’re having an absolute blast! I really want it to snow this winter so I can see how the boys react to snow. 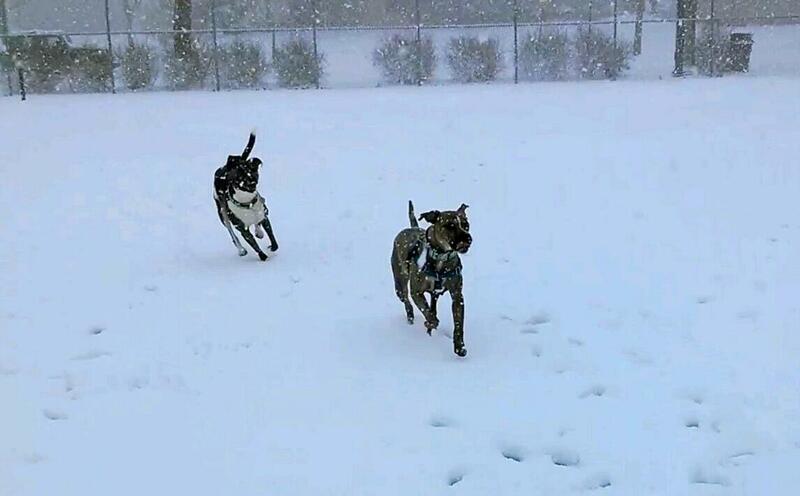 I can’t believe how much snow is there…and it does look like they had so much fun! Miss M…not so much. So I guess it is good that it hasn’t even snowed 1 inch in Chicago this year! OMG…that is soooo funny! I love the pics…and the video! 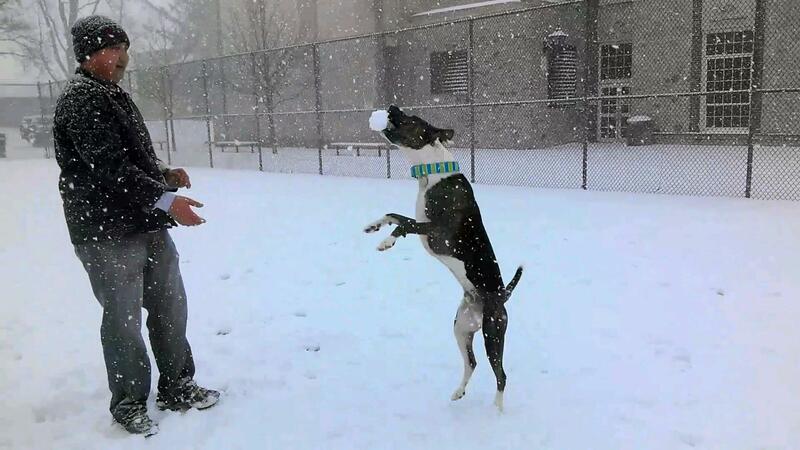 Them catching snowballs…that’s too much! LOVE it! Cute! I love Cooper’s reaction! So fun! 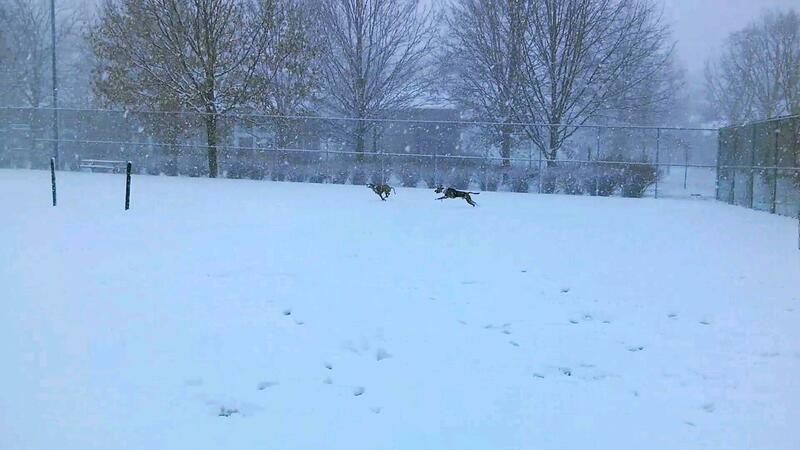 The only thing I miss about Central NY winters is watching the dogs play in the snow. So cute!!! You picked the perfect song for that video! And I LOVE how Coop sits and waits everytime a “ball” is being tossed to him! He’s such a good boy! What a great time! 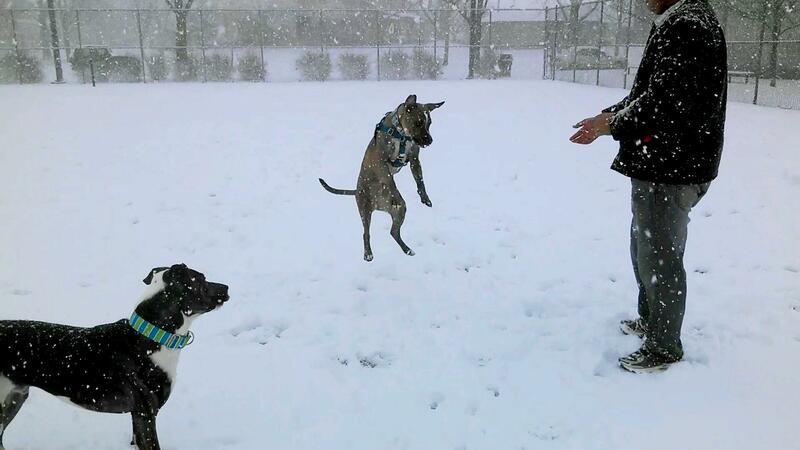 Our pack is used to the snow, even the southern ones and always have a great time in the first big snowfall. 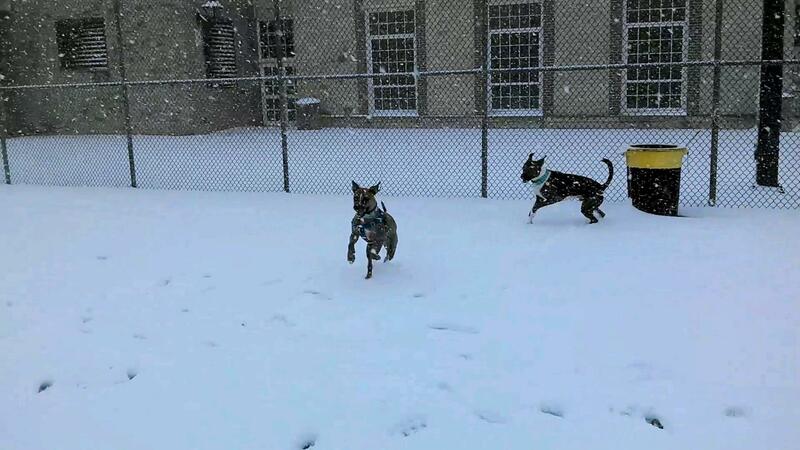 I love watching them enjoying it and somehow it doesn’t seem as cold when you’re having fun!